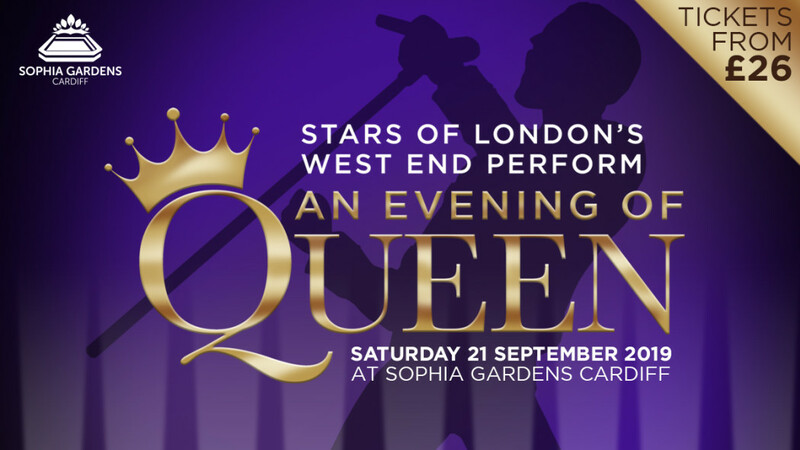 On Saturday, 21st September a dazzling collection of performers from London’s West End, including former stars from the smash hit musical ‘We Will Rock You,’ will come together to present an incredible tribute to one of the world’s great rock bands in a one-night spectacular outdoor concert at the home of Welsh cricket. The show will feature dozens of hits from an astonishing back catalogue and is a concert evening no Queen fan should miss! Head of Events, Amanda Simisker, said: “This is an exciting time for Sophia Gardens. We have a fantastic venue in the heart of Cardiff which has hosted some of the biggest cricket matches in the world and following the sell-out of ‘An Evening of Abba’ last year, we are delighted to announce another new event. “By hosting ‘An Evening of Queen’ it once against highlights Sophia Gardens as a First-Class entertainment venue and we look forward to providing a ‘Warm Welsh Welcome to thousands of concert goers. How can I get ‘An Evening of Queen’ tickets? Only 2,000 tickets are available! Tickets are now on sale and prices start at £26 for standing general admission tickets and £29.50 for seated. What if I want hospitality tickets? Hospitality packages start from £85 inc. VAT. Please call 02920 419 359 for further information or click HERE.